A fellow Lonely Islander is coming to Brooklyn Nine-Nine. 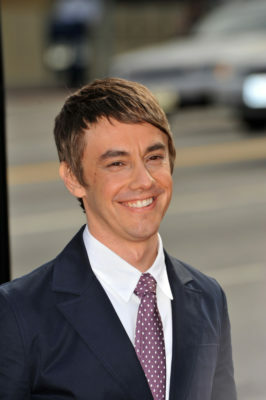 Entertainment Weekly reports Jorma Taccone will guest star in season four of the FOX series. Taccone is a member of the comedy music trio The Lonely Island, which includes Brooklyn Nine-Nine star Andy Samberg. In addition to appearing on Parks and Recreation and Girls, Taccone has also directed an episode of Brooklyn Nine-Nine. On Brooklyn Nine-Nine, he’ll play Taylor, the new boss of Raymond Holt (Andre Braugher), who is stuck in witness protection with Jake (Samberg) in Florida. The new season of Brooklyn Nine-Nine premieres on September 20th. What do you think? Are you a fan of Brooklyn Nine-Nine? Are you excited for season four?